The Roof Authority, Inc is "Your Quality Leader" since 1993. Welcome to The Roof Authority, Inc. Your roof is one of the most important parts of your home or building. It keeps you safe from the elements, provides warmth, and protects your belongings and the people around you. When something goes wrong, you need to put it in the hands of somebody you trust. You need a company that has decades of experience, a company that will work with your insurance company, and a company that provides accurate estimates to help you determine the cost of your roof repair (with no unhappy surprises later on!). For a company that fulfills these requirements, you need The Roof Authority. 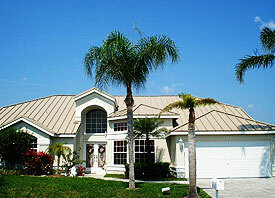 The Roof Authority has proudly served select areas of Florida since 1993, and our reviews speak for themselves. When your home, business, or condominium needs maintenance, service, repair, or replacement, look no further than The Roof Authority. The Roof Authority is a state-certified roofing contractor and is fully licensed, insured, and bondable.